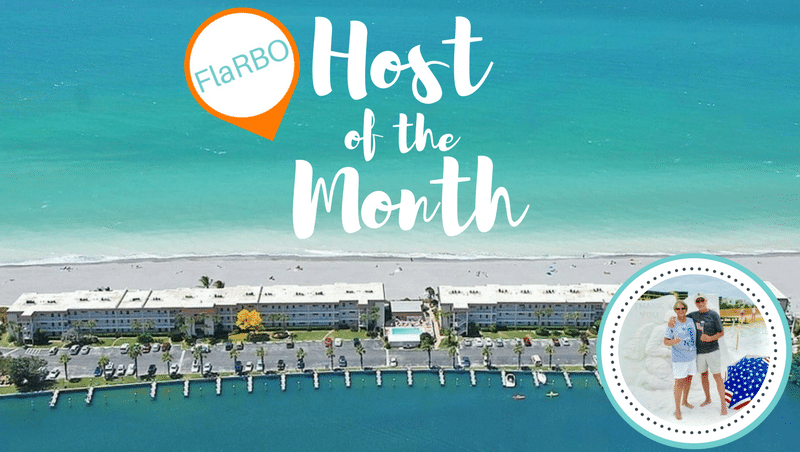 Each month Florida Rental By Owners (FlaRBO) is excited to introduce one of our incredible hosts and share their story of what inspired them to open up their home to travelers. Our April host is Paul McWilliams who owns a beautiful beachfront vacation rental on Siesta Key, Florida. Paul shares his insider tips about the best that’s offered at this favorite Gulf of Mexico destination and why his property is one of the most sought-after condos on the West Coast. 1. 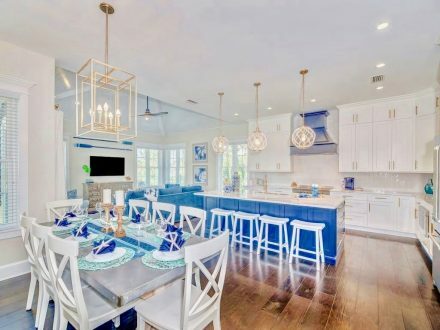 What inspired you to start hosting your Florida Vacation Rental? 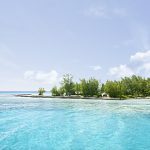 Sherri (my wife) and I have vacationed at some of the world’s most spectacular beaches during our 43 years of marriage, with this experience, we knew exactly what we wanted and realized it would not be easy to find. 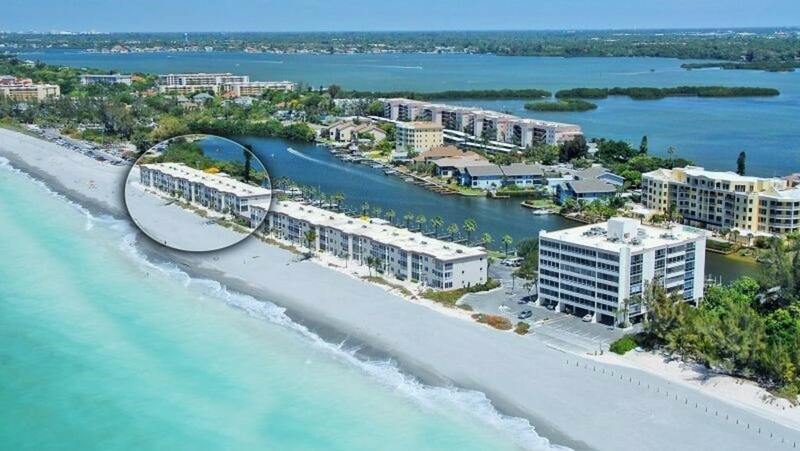 We searched for three years before selecting the condo we own today on Siesta Key, Florida. Siesta Key is a barrier island off the coast of Sarasota, which is about midway between Tampa and Ft. Myers. We bought our condo with hosting as one of our primary goals. While we were confident that vacationers would find our unique balance of isolation and convenience attractive, this was our first venture into the short-term vacation rental industry, and I don’t mind saying, we were more than a little nervous. Shortly after we bought the condo we totally remodeled it with a focus on quality, comfort and perfecting the stunning waterfront views. One of the first items on our must-have list was maximizing our oceanfront Lanai by adding floor-to-ceiling sliding glass panels and a glass rail versus the more traditional picket fence rail. 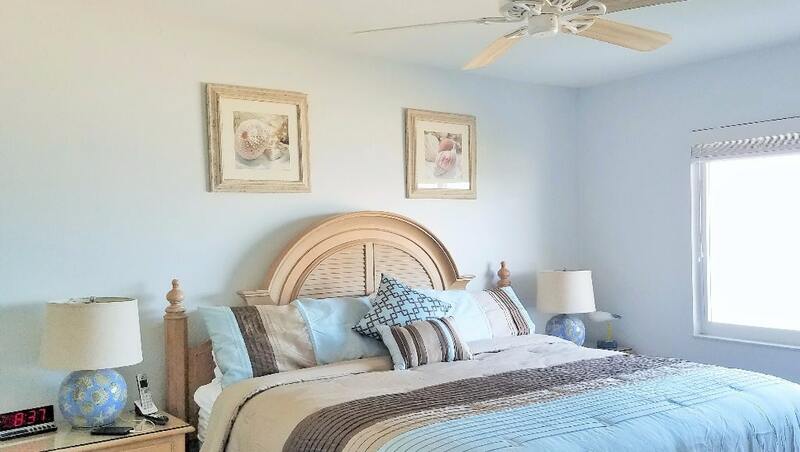 With this, we have unobstructed views of the beach and Gulf of Mexico to the west and south. It is now the perfect ambiance for morning coffee and a front row seat to unbelievable sunsets. We also tackled the master suite to maximize the stunning ocean view. We wanted to create an ambiance where stress would melt away as the sound of the waves lull you to sleep at night. 2. How do you exceed your Guest’s Expectations? Why do they keep coming back? 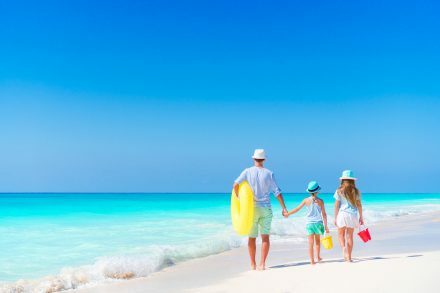 I think the short answer to explain our success is the old saying; “If you love what you do, you will do it well.” Vacations have always been a big thing for us. When we were young we often had to scrimp and save for two years between vacations. However, creating new memories was and still is far more important to us than buying new stuff. 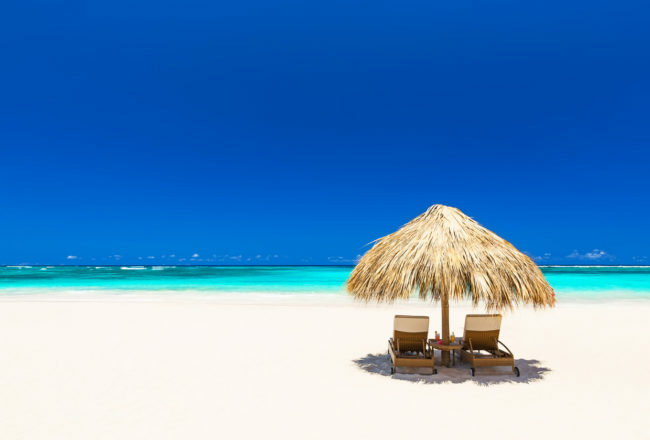 In addition to doing what we can to help our guests plan and enjoy their vacation, we also give them first dibs on booking the same week(s) in the following year. Many of our guests really like this perk – this year we’re already over 80% booked and nearly 45% of our reservations are from returning guests. 3. Why are you Passionate about your Vacation Rental? Location, location, and location!! 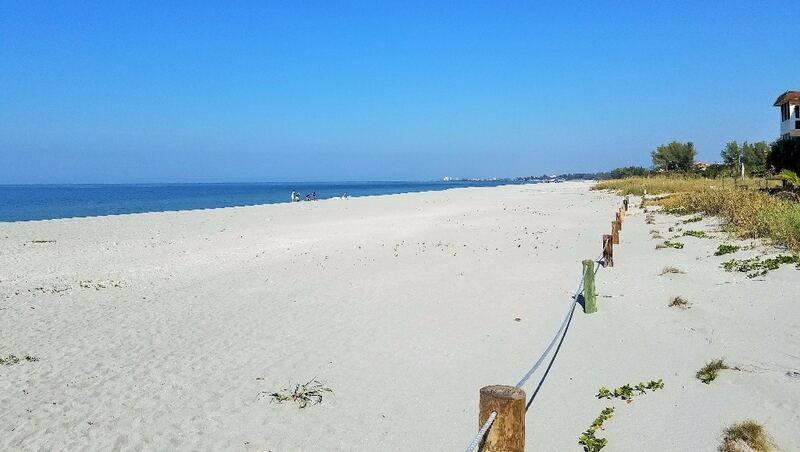 During our three-year search, we drove literally every road that goes to the beach between Anna Maria Island and Marco Island – essentially the entire Gulf coast south of St. Petersburg. Along the way, we walked miles of beach and evaluated well over a dozen condos in various locations. The location we chose is literally unique. We are on a VERY narrow strip of sand that is only about 350 feet wide. Our condo sits directly on the beach and is oceanfront without compromise. The Gulf of Mexico is only about 125 feet to our west and the bay inlet is a similar distance to the east. 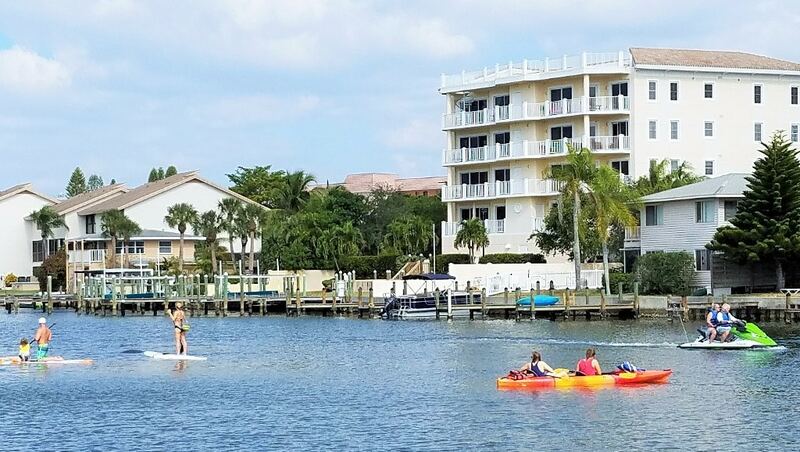 Along the bay side are boat docks, a kayak storage rack and a kayak launch that our guests can use free of charge. The quiet southern end of Siesta Key is where seashells and birds are far more plentiful than tourists. We love our unique and un-crowded beach environment. Our guests can take advantage of the free Breeze Trolley that stops right by us or walk a short distance to restaurants, entertainment, and activities. 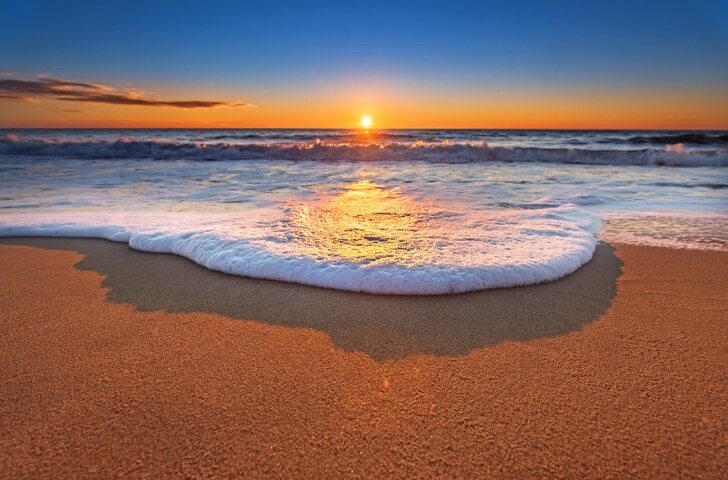 We also love to take long beach walks; the feel of the sand and the sound of the surf help wash away the pressures of life and reset our priorities. During our walks, we watch a variety of shorebirds, Ospreys, Seagulls, and Pelicans diving for food, and if I’m carrying a fishing pole, a Blue Herring will follow close behind looking for a free meal. Sherri loves the fact that this is by far the best place for finding seashells, sea glass and fossilized shark teeth on Siesta Key. We’ve averaged roughly 95% occupancy and have not had a vacant week since mid-December 2016. More importantly, we are having an absolutely wonderful time meeting people from around the world and helping them create vacation memories that we hope will last a lifetime. Our bay inlet is the conduit used by kayak tour companies to reach the mangrove islands that are loaded with birds and just a short paddle to the south. The fishing on the bay-side is great too and there is a place where you can beach and walk over to the Gulf. If you’ve got the stamina, you can cross the bay to Spanish Point for lunch and refreshments (great Bloody Mary). 4. What are the Keys to Your Success that others may not know about? While anyone can learn the mechanics, to kick it up a notch, from there requires passion and an inherent love of people that runs deep. I think it’s also very important to provide an accurate representation of the rental property and location. 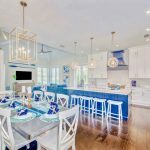 For example, when I get an inquiry from someone that wants to be in the middle of the action, I suggest alternatives on the busier northern part of Siesta Key. Of course, if there’s not a foundation of sound operations, none of those things will matter. The whole idea is to never have problems, so a nearly obsessive regime of preventive maintenance, attention to detail and a backup plan for when things go wrong are mandatory. For these rare situations, we are very fortunate to have onsite staff six days a week that also provides 24/7 support when they are not onsite. We are even more fortunate that they care for our guests just like we would if we were there – absolutely great staff!! 5. 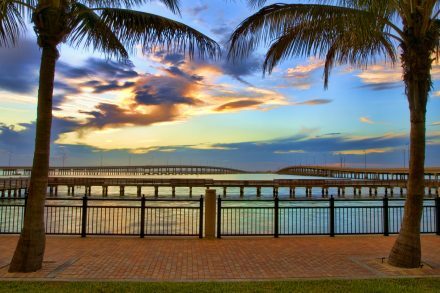 Why do you recommend your Area for the perfect Florida vacation? First and foremost, we are a get-away-from-it-all, smack-dab on the beach, Gulf in your face location. For us, this is what beach vacationing is all about – miles of open beach to walk, no crowds, tons of seashells to collect and fish to catch, or maybe just sitting cozily in a beach chair with a good book and the sound of the surf in the background. As a bonus, we’re far enough south that the Gulf water doesn’t get too cold in the winter and warms quickly in the spring. For us, this is beachfront at its best. However, that doesn’t mean we are the universal perfect answer for everyone. 6. What would be the perfect Itinerary for a stay in your home? I also don’t think there is a one-size-fits-all perfect itinerary. 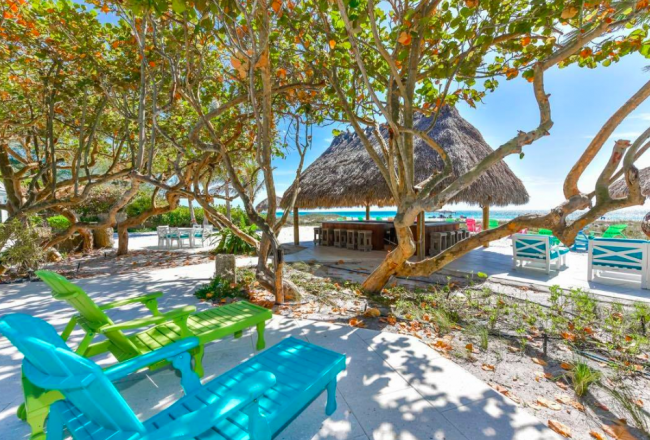 Some of our guests just want to hang on the beach and have no interest in wandering far from the beach chairs, umbrella, and cooler we provide. Other guests want to explore and do it all, and there is certainly plenty to do. Our charter is to help as much or as little as our guests want. 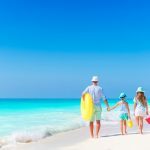 Beyond the beach, and almost anything you could imagine doing that involves a beach or water, there are a ton of things to do and places to see in our area. And, at night there are great restaurants and a number of choices for live entertainment. Siesta Key is surprisingly cosmopolitan, yet also “Midwestern” friendly. 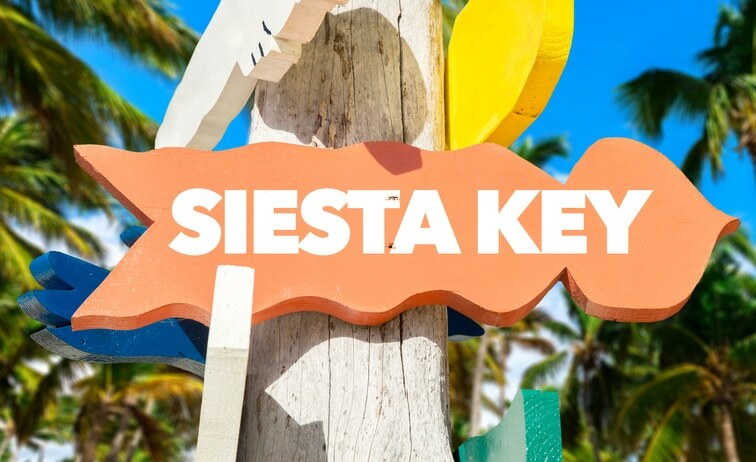 To support our guests and help them build anticipation for their upcoming vacation, we developed what we call our Siesta Key Vacation Guide. 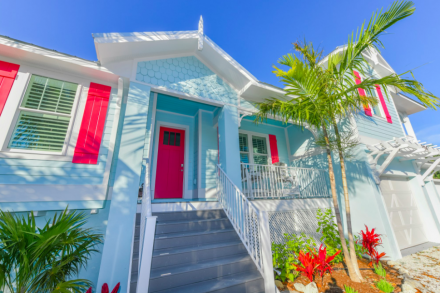 With this, our guests can navigate like locals and enjoy the hidden gems of Siesta Key and Sarasota. 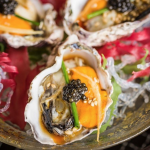 The Guide is over 35 pages long and includes detailed information about various topics like our favorite dishes at over 30 great restaurants. 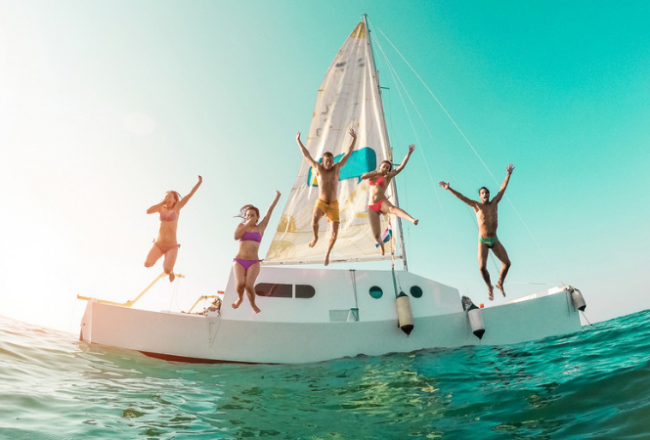 Where to rent boats, jet-skis, kayaks, paddle-boards (SUP), etc. 7. Describe your vacation rental or guest experience in 3 words. 8. Who would you recommend your property to? The majority of our guests want to avoid the crowds of tourists that flock to most Florida destinations. They crave the ocean and want to be directly on the beach and as close to the water as possible. 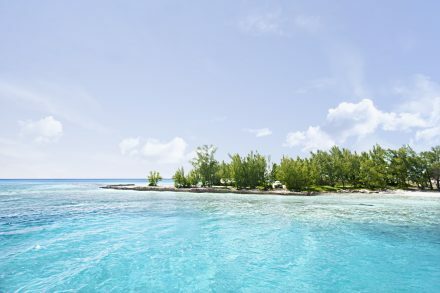 In our opinion, this is beachfront at its best. 9. Why does your property stand out from the Crowd? We realize we cannot be all things to all people, and we don’t try to be that. What we strive for is presenting what we have accurately. This and getting an understanding of a traveler’s expectations is why we always like to talk to people who inquire about our condo by phone versus communicate only by email. We also want to share the vast amount of information and numerous pictures included on our dedicated website. This is one of the reasons we discontinued advertising on sites like HomeAway and VRBO. Not only do they block any ability to communicate with travelers by phone and filter out our website address in email communications, they also add traveler charges that average about $150 per week for our condo. We are very appreciative of the open communication policy embraced by FlaBRO.com and the fact there are no extra charges or booking fees common on the larger websites today. 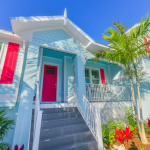 Interested in visiting Siesta Key, Florida? You can view Paul and Sherri’s 2-bedroom beachfront condo here and take advantage of booking direct today (sleeps up to 6). 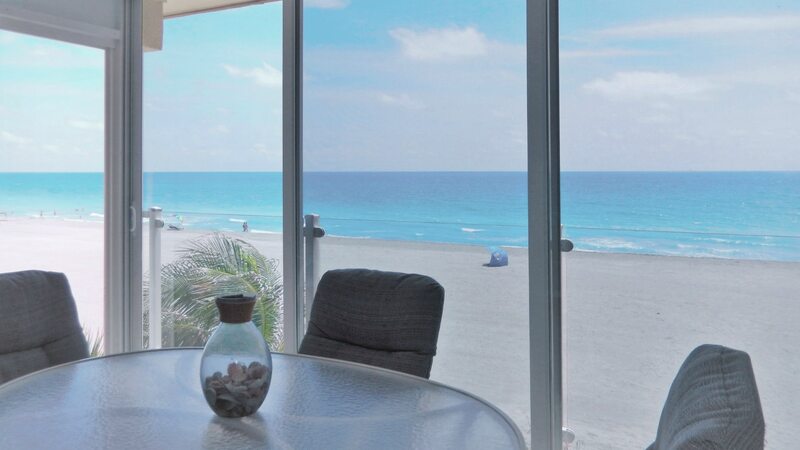 Don’t hesitate, this beachfront condo books up to one-year in advance! Thank you for selecting us as your first Host of the Month! More importantly, thank you for creating a website that does NOT impose useless service fees or booking fees on our guests and allows travelers and vacation property owners to communicate freely. As savvy travelers know, websites like HomeAway, VRBO, Airbnb, TripAdvisor and others add service fees / booking fees on top of the owner charges. Worse yet, these charges are not always disclosed with full clarity and that leaves some travelers thinking the fees are being imposed by the property owners. When our HomeAway / VRBO listing expired earlier this year and we were told that the only way to continue was to allow HomeAway / VRBO to impose its service fee, we discontinued our subscription. After over six years with HomeAway / VRBO, this was painful, but the right thing to do. Through the years we’ve been blessed with wonderful guests that appreciate the unique experience our location and condo offers. We haven’t had a vacancy since mid-December 2016 and approximately half of our weeks are filled by returning guests. That said, we still have some great weeks available this year, and even one still open in January 2019.